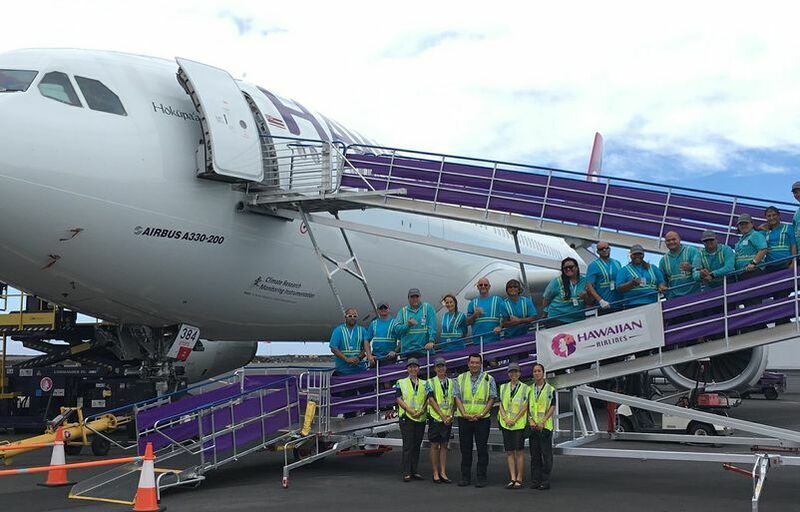 As Hawaii’s hometown carrier, it’s our kuleana (responsibility and privilege) to serve as ambassadors of the Islands to those who visit our shores. 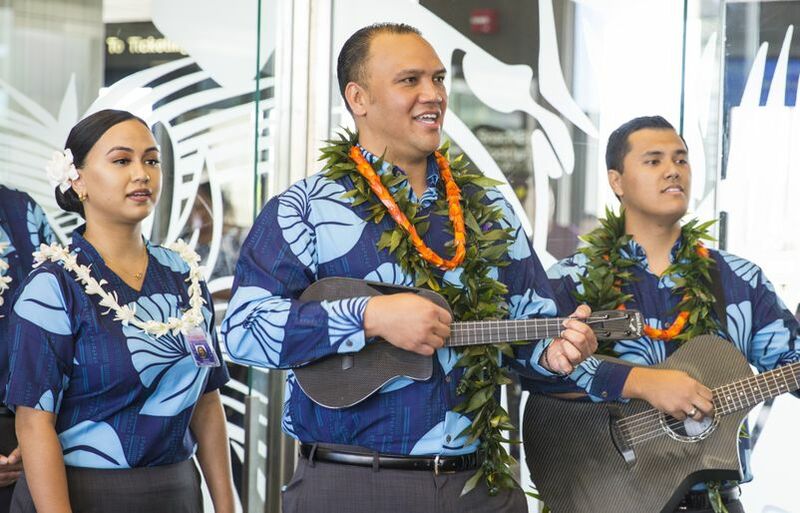 From the moment our guests check in for their flight and are greeted by a member of our Hawaiian Airlines ‘ohana, mea ho'okipa (I am host), our signature hospitality, welcomes them and provides a primer in celebrating our culture of Aloha. Outside of the Aloha we have for Hawai‘i and our guests, we’ve got a big space in our hearts for food. And not just any kind of food…we’re talking dishes with mouthwatering ingredients that embody every aspect of O‘ahu’s cosmopolitan energy. 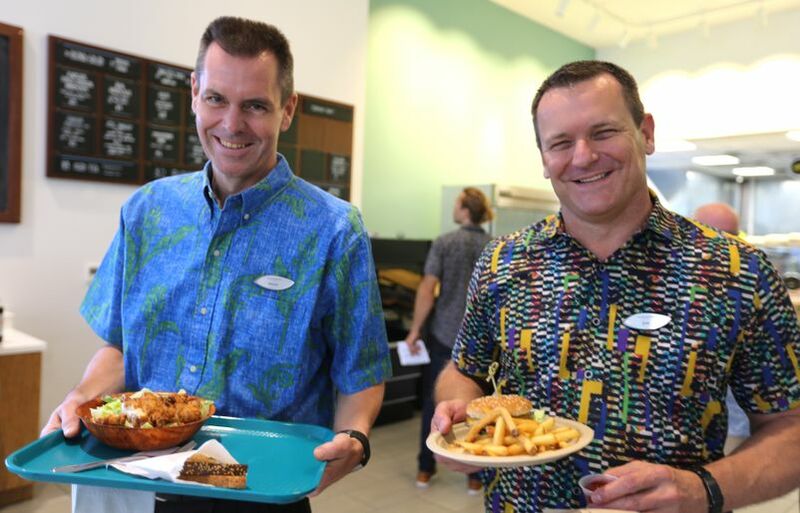 To satisfy our cravings, we often look to LunchBox, the employee gathering space and cafe-style restaurant at our Honolulu headquarters. 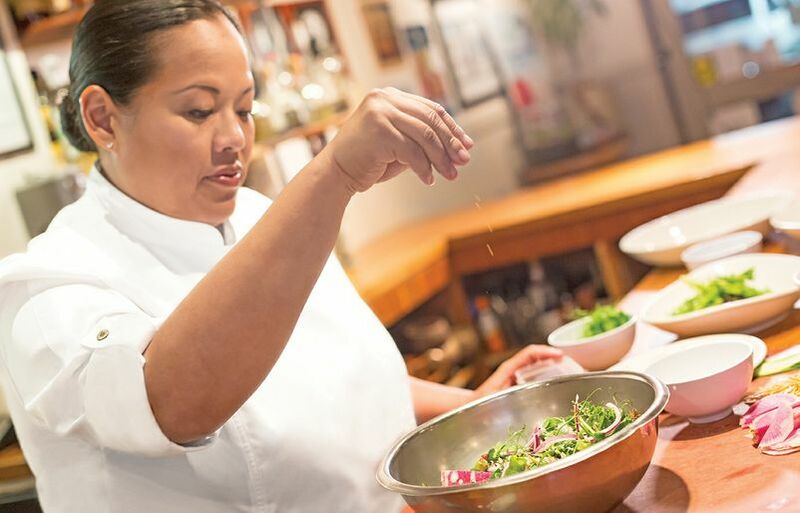 Local ingredients are at the core of the menu at Koko Head Café – the island-style bistro owned and operated by Hawaiian Airlines Executive Chef Lee Anne Wong. Nestled on a side street in the old Honolulu neighborhood of Kaimuki, the restaurant is touted for its one-of-a-kind dumplings and perfectly balanced sweet and savory creations. Aside from the aesthetics, Wong attributes the magic of her dishes to the local purveyors who grow, pound and ferment the ingredients. 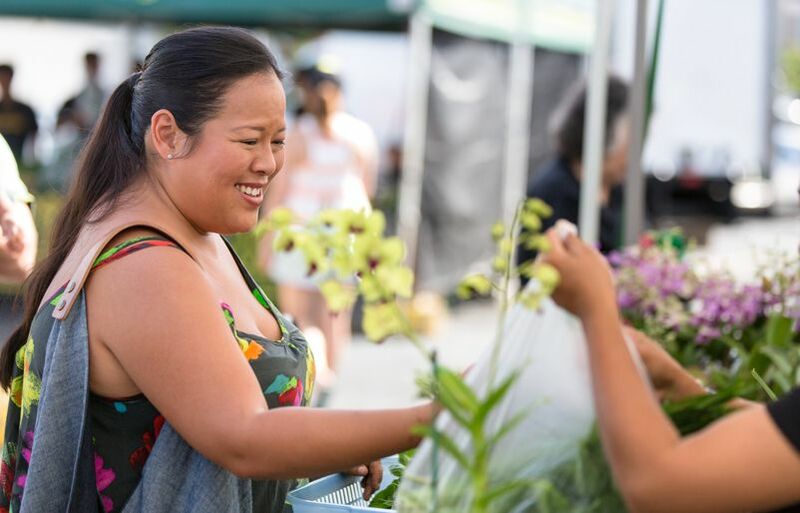 When we think of the modern-day woman, we think of Hawaiian Airlines Executive Chef Lee Anne Wong: an avant-garde entrepreneur, a new mom of a beautiful baby boy, and a true maestro at her craft. It’s officially summer in Southern California and that means one thing…It’s POW! WOW! season! 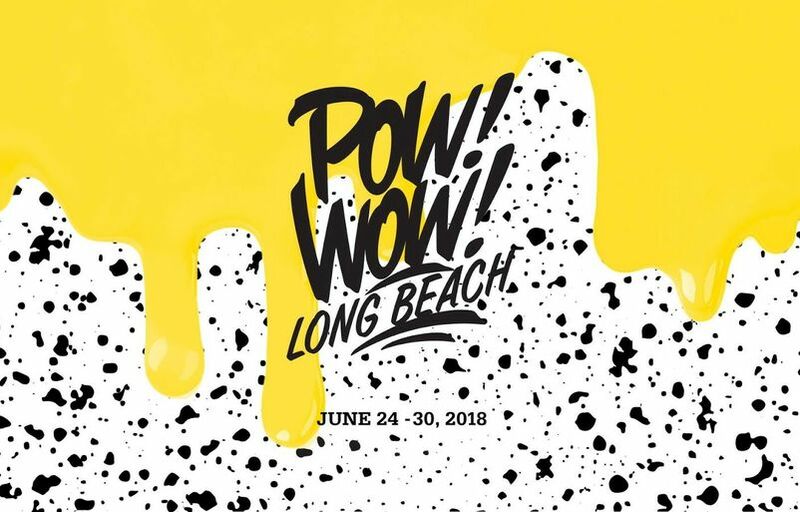 Starting June 24, the seven-day street art festival arrives at Long Beach – the latest city to enter our network of non-stop flights between the U.S. mainland and Hawaii. At Hawaiian Airlines, we have been closely monitoring the situation to keep our flights operating safely, and to determine how we can best help the community – including our own Hilo-based colleagues who work at Hilo International Airport (ITO). To learn more about the ongoing eruption, we recently sat down with Luana Gibson (LG), our ITO general manager and a Hawaiian Airlines employee for 20 years, and Customer Service Agent Michael Quihano (MQ), who’s been with us for 14 years.